We are are currently accepting registrations for the 2019-2020 school year. Students must be 33 months old and potty-trained by their first day of school. The Enrollment Packet is available to download below and paper copies are available at school. Registrations are accepted on a first-come, first-served basis, and a $50 registration fee is required to secure your spot. * Please note that these amounts are different from the current 2018-2019 school year. Where kids learn to be academic leaders and faithful followers. Capital letters with Ms. Brittany. When does Christian education begin? Would you believe at baptism? It’s true! The second the Holy Spirit used simple water and God’s powerful promises to connect your child to Jesus Christ, that’s when their spiritual education began. As a Christian mom and dad, you have done a great job teaching your child the ABC’s of how the world works and what it means to be loved by God. Now it’s time to take your child’s spiritual education to the next level – now it’s time for preschool! Using fine motor skills to make patterns. Peace In Christ Christian Preschool is committed to continuing your child’s education with a curriculum based upon God’s Word. It’s important that students be fully prepared to begin their kindergarten experience. It’s also important that they know who God is and how much He loves them through Jesus Christ. This two-pronged curriculum emphasis will encourage all students to master educational and faith-based information and skills. Peace In Christ Preschool is a state licensed facility offering morning and afternoon classes to children from ages three to kindergarten entry. We have two teachers in every class. 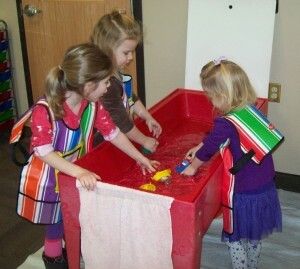 Having fun at the water table! Our mission at Peace in Christ Christian Preschool is to provide preschool age children with a Christ-centered school readiness education. We help children grow in their love for Jesus as they serve and follow Him. 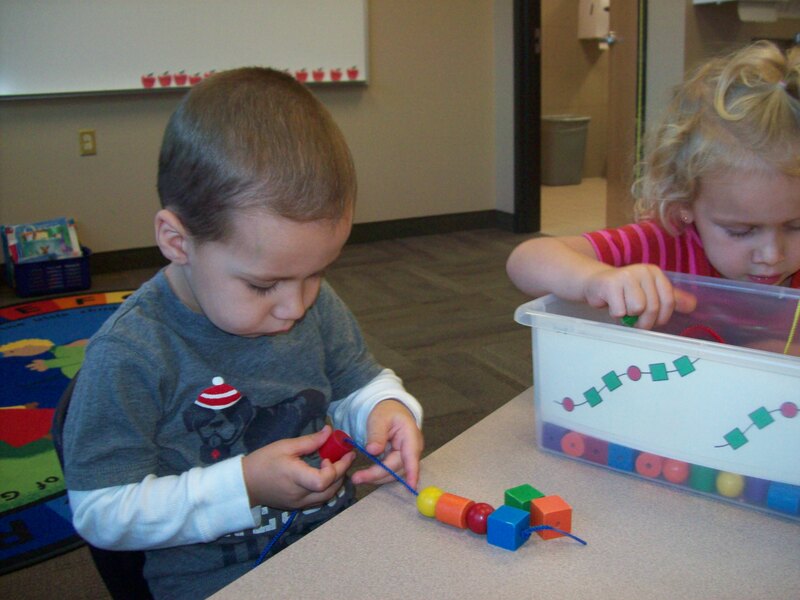 The curriculum is divided up into monthly/weekly themes that promote school readiness skills in physical, social-emotional, and cognitive development that follow the Minnesota Early Learning Standards. 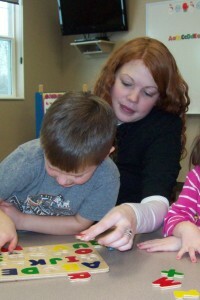 In addition, our preschool integrates faith and Christian teachings into all areas of the curriculum. Students attend chapel once a week for Bible story, prayer, and songs led by one of our Pastors or our Director of Christian Education. Our licensed teachers are knowledgeable, positive, respectful, and nurturing to each student regardless of religious preference, cultural background, or socio-economic status. We honor your child as a unique, precious gift from God!